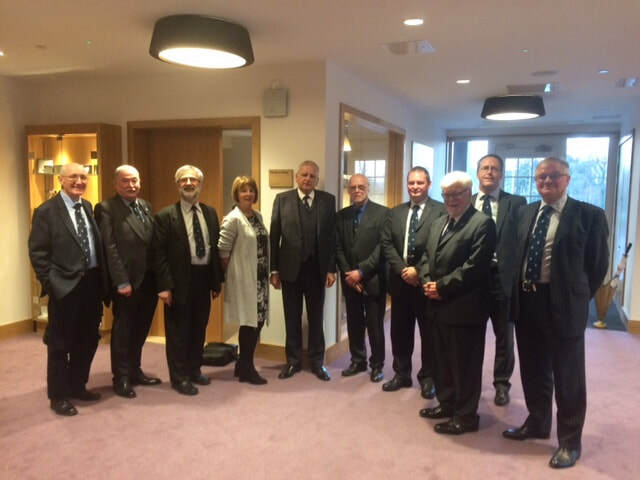 On 9th April, 2019 the Master Court of the Incorporation met at The Prince and Princess of Wales Hospice at 20 Dumbreck Road, Glasgow (next to the Ski Centre). The purpose of the visit was to discuss what the Incorporation could do to assist the Hospice in terms of supplying items for their garden or grounds etc. One aspect which came across was that they would love the Hospice to be part of the local community and therefore, it has been designed with a view to make this possible while ensuring patient care is never compromised. As a result, they have a café which is open to the public (and dogs!) and would like people to use this excellent facility. There are also exceptionally well equipped Meeting & Conference facilities which can cater from 8 to 50. The Master Court met in one of these luxurious rooms and it was agreed that we could assist the Hospice in meeting some of their needs. A number of options were discussed, with both sides leaving with a clear idea on the way forward. When the final arrangements concerning our assistance has been agreed, the outcomes will be published on the website.